Water is essential and powerful element of our life and the presence of water brings smiles and sigh of relief. Yes, sigh of relief, I have lived in India , so who knows better than me about water , how to save water and be eco-friendly. Because of water life exists on this earth, life thrives because of water, without water we would perish. Water brings prosperity, peace and harmony in our lives !! "Jal Jo Na Hota, To Ye Jag Jata Jal"
What a beautiful inspirational line it is..
"Had water not exists , this world would have come to an end"
Water is all around us, actually water is in us, water makes up about two third who we are, and it shows it's 100% influences in our bodies, and probably explains why we feel better after drinking enough of it, water helps us to stay healthy, it could aid weight loss , improves our moods and it energizes us. In another words Water Makes You Awesome !!! 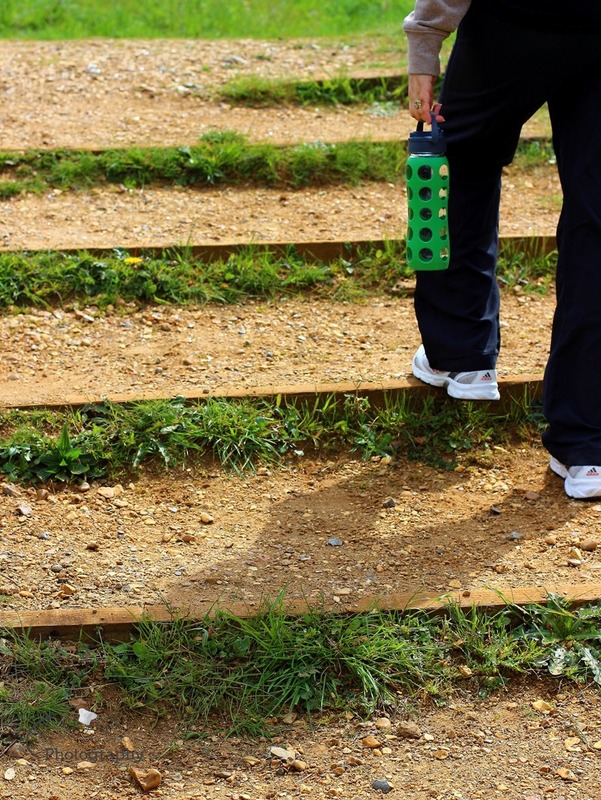 Great people from Formahouse asked me if I would like to review 'New to the UK for 2016' hydrations bottles from Lifefactory . 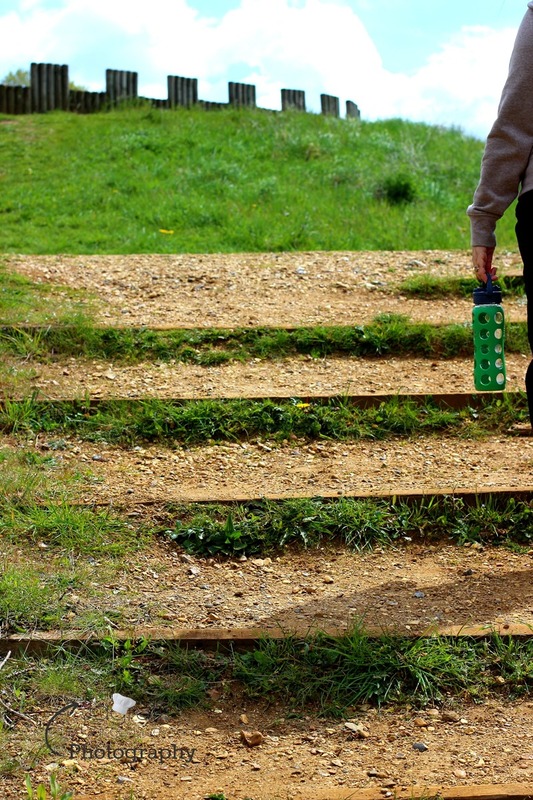 How on earth I would decline, the words like water, hydration and healthy living keeps me going, quickly I checked out the details, product I never seen or heard about it, and in few days it was delivered to my home. They were kind to send me 22 oz (650 ml) glass bottle with the flip cap in Grass Green colour. 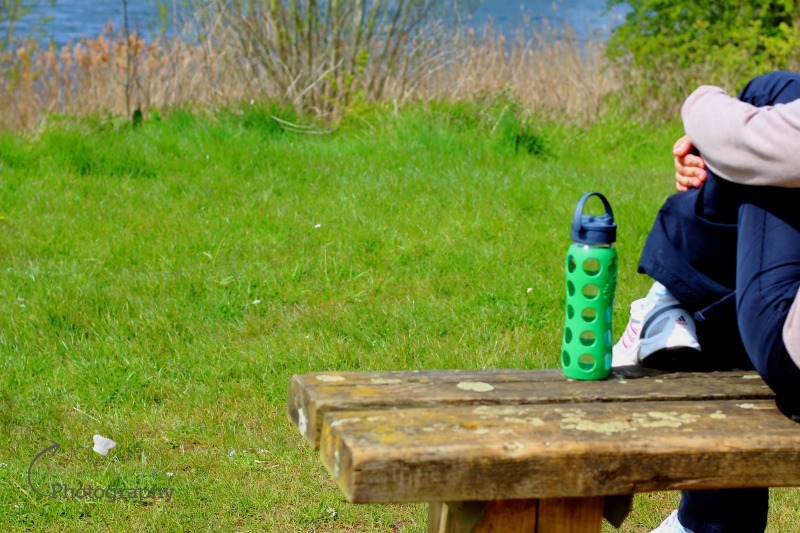 Lifefactory glass bottles are made for health and eco - minded families ( adults ) especially for those who are looking for something to take with them while on the go. 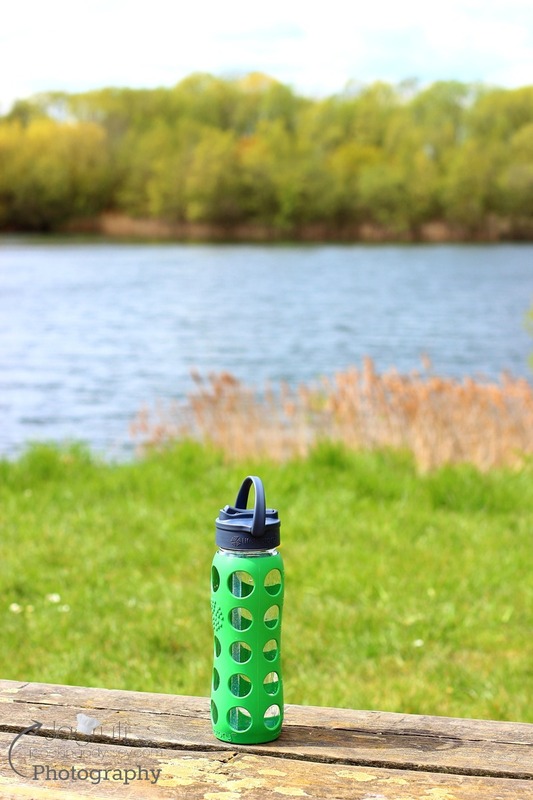 Lifefactory products and their on the go glass water bottles are american brand and now available the UK too. 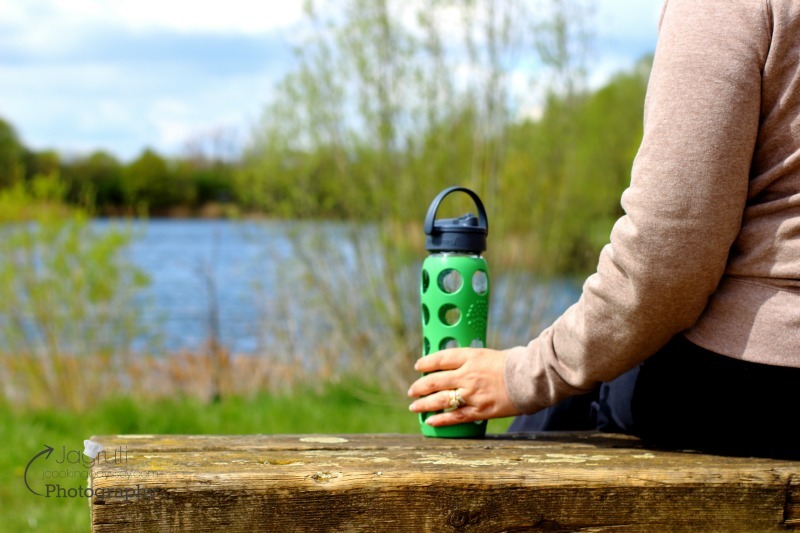 These bottles are made for healthy living, especially when every now and then you come a cross news and articles where researchers advice to avoid drinking from harmful plastic bottles, and one would also think about reducing plastic bottles for environment issues. While we are getting more and more concious about these issues, better to make a small changes in life. So rather than just picking up a plastic bottle from the package, why don't we look for a solution. which is better for us and our environment, as we call ourselves the new generation !! 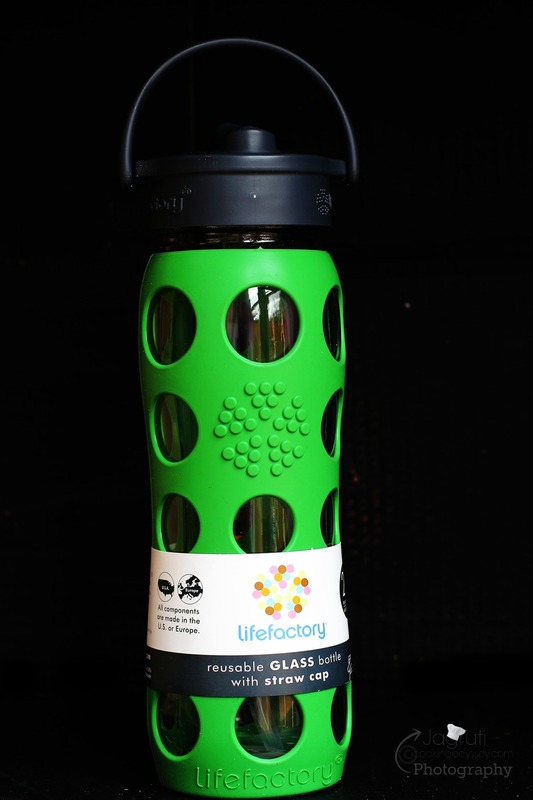 Lifefactory glass bottles are made responsibly ,uncompromisingly and made with healthy materials. These striking glass bottles are BPA/BPS free and all the components are made with high standard in US and Europe. These glass bottles are reusable, also the taste of the contents does not change and it is cleaned easily in the dishwasher. 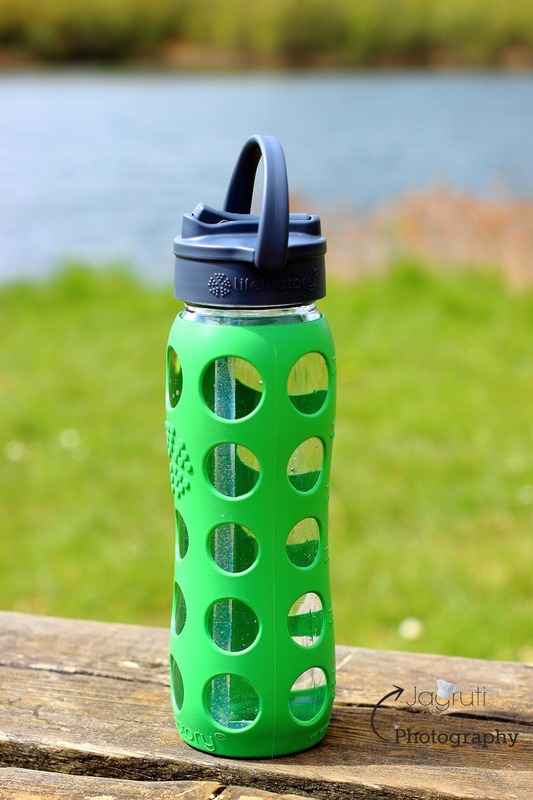 One might be reluctant to use glass bottle while on the go, not to worry as the distinctive silicone sleeve also provides a non slip gripping surface and helps against breakage which are also made from BPA/BPS free. 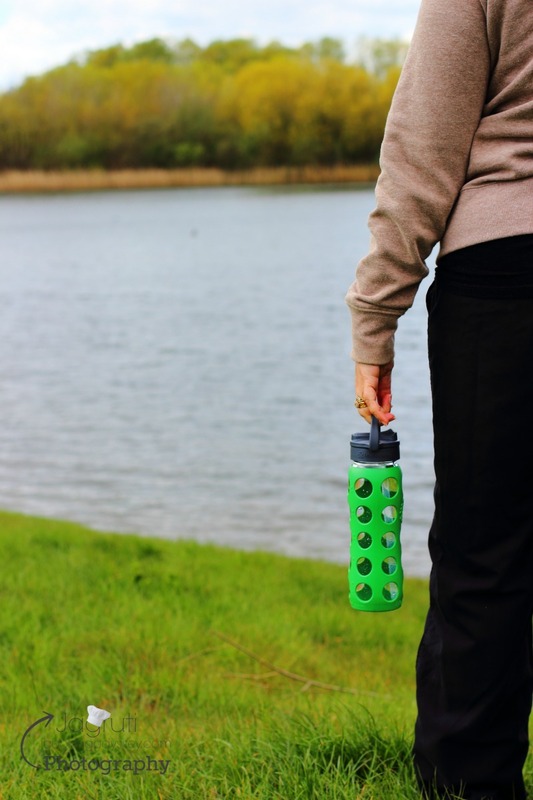 The pivoting handle provides a great and easy way to carry the bottle and the flip cap provides a great comfort while you sip the water on the go. The flap top , caps ,lids and straws are made with medical-grade silicon so you are at ease. Although this bottle is with flip cap and straw cap too, wide mouth access make it easy to add ice or fresh fruit and cleaning is made easy. Yes, even I thought that too, glass bottle and that being filled with water, how on earth I would carry with other shopping bags, clever people at Lifefactory given us the solution for that too, the very strong handle can be clipped to the bags. so no need to worry about the weight of the glass bottle. Thank you Formahouse for sending me Lifefacotry glass bottle for review. I am looking forward to try my hands on their Mug with cafe Cap and 4 cup glass food storage .